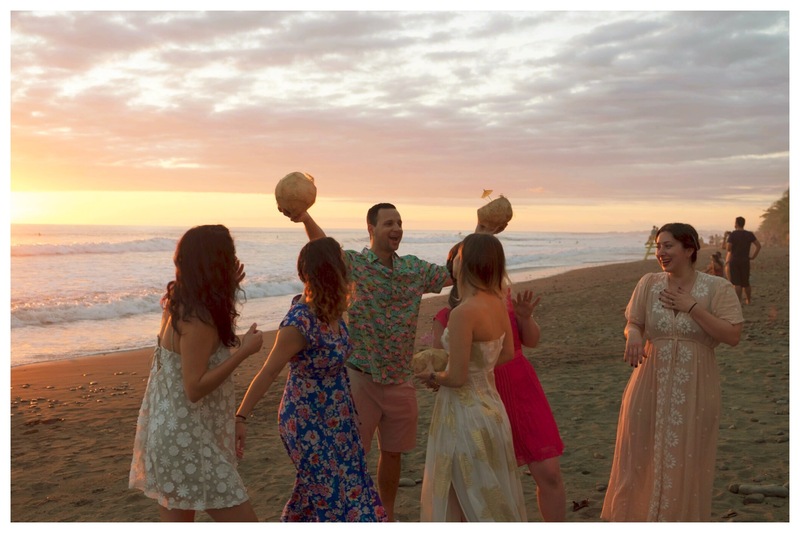 Sarah and Joel opted for a no frills wedding in Dominical. No cake, no flowers, no music just friends and family getting together to celebrate their wedding. This is a beach area south of Manuel Antonio which is known for hosting the Envision Festival. Dominical is less developed than other destinations in Costa Rica. It is a repetitively small community with lots of restaurants and beautiful beaches. A surfers paradise with strong rip tides that pose a challenge to any swimmer. I remember years ago driving through the mountain pass to get to this destination which took hours. The highway has recently been graded and expanded which makes it an easy, beautiful drive from San Jose or only 40 minutes from Manuel Antonio. Sarah and Joel had spent time at this beach in past years and knew it was the perfect place for their wedding. Bamboo chairs were placed in front of the ocean to take advantage of the sunset. There were not many people on the beach which contributed to the intimacy of the wedding. What was important was having coconuts set out for their guests when they arrived. A welcome thirst quencher in the hot sun before the ceremony. Guests were invited back to private villa for a typical Costa Rican dinner which was catered by Desiree Brassart. 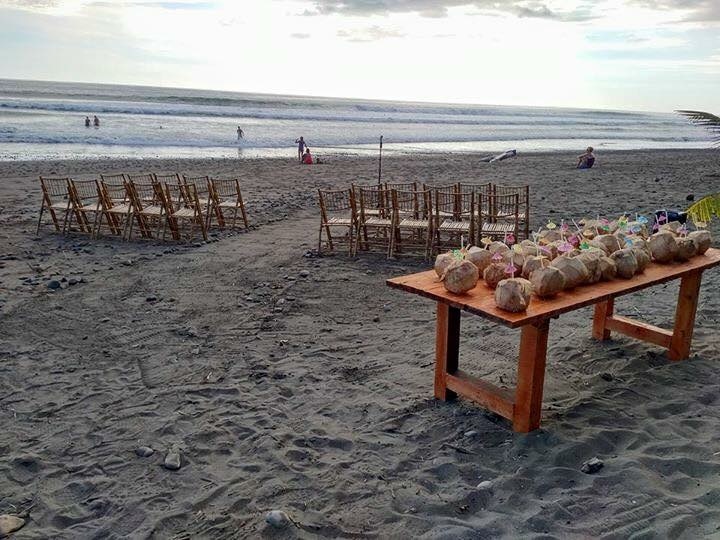 This entry was posted in Beach Wedding, Dominical Beach Wedding, Unusual Weddings by Randy Gritz. Bookmark the permalink.